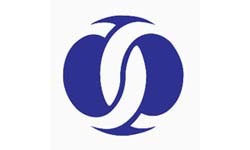 The European Bank for Reconstruction and Development (EBRD) will open its third office in Turkey on Wednesday, Sept. 10. The new location will be in Gaziantep, which is home to 1.7 million people and is a dynamic business hub. The southeastern part of Turkey has the largest organized industrial area, and its agribusiness contributes to 4 percent of Turkey's total exports. The new office will focus on offering support to micro, small and medium-sized enterprises. Since Gaziantep is outside of the major hubs of Istanbul and Ankara, the bank will offer long-term finance and management to local companies for sustainability. Since 2009, Turkey has become one of the bank's largest portfolios. The EBRD has invested more than $4 billion to aid in the economic development of Turkey with 120 projects being supported. In the eastern regions, the bank will continue to play a major role, as funds remain scarce in these parts for micro, small and medium-sized enterprises. Want to get notified whenever we write about World Bank - Turkey ? Next time we write about World Bank - Turkey, we'll email you a link to the story. You may edit your settings or unsubscribe at any time.